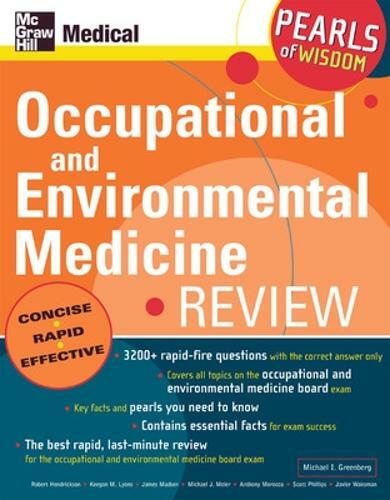 Why waste time guessing at what you need to know for the occupational and environmental medicine board exam? Maximize your exam preparation time with this quick-hit question and answer review. The unique question and single-answer format eliminates the guesswork associated with traditional multiple-choice Q&A reviews and reinforces only the correct answers you'll need to know on exam day. Emphasis is placed on distilling key facts and clinical pearls essential for exam success. This high-yield review for the boards is the perfect compliment to larger texts for intense, streamlined review in the days and weeks before your exam.